Just to share my experience, the first time when I use it, I notice that each time when I would like to delete a files from my machines. There are no message box that prompt and ask me again whether I want to delete the files. I see it is pretty cool that you can delete without acknowledgement. 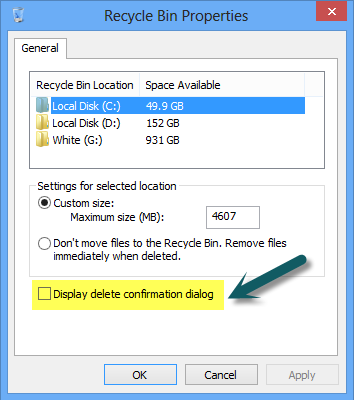 But if you would like to enable back the feature you can right click on the recyble bin and set it back as the screen below. If Windows 8 would have start button then it would be adopted by many users and I believe that it would have become the most popular windows yet. 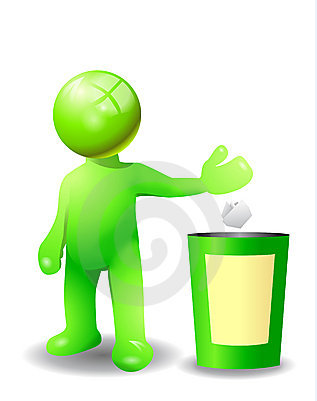 But however RecycleBin feature is also a good feature which is not available in previous ones. Hi there, I do agree with you. The start button was somehow quite important on the windows which was one of the features in the past 10 years. Look like we just need to adopt the changes:).